Have you ever been lonely racing a marathon? Why not bring your best friend with you, your dog. 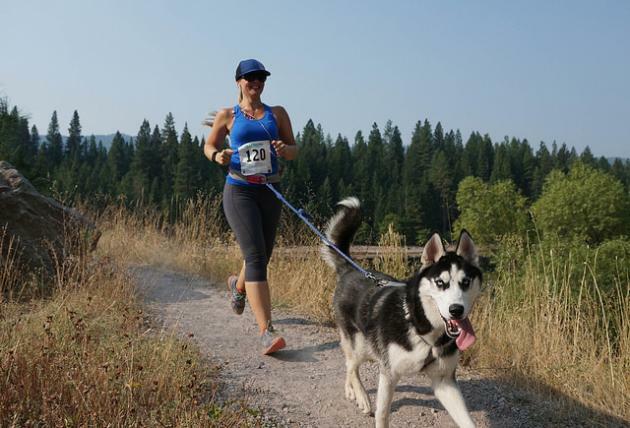 Marathons, half-marathons, and 5k’s that allow you and your dog to race have been popping up everywhere. If you have never brought your dog on a run, there are a few things to keep in mind. Some dog breeds are more acclimated to running than other breeds. Most small dogs are not meant to run a marathon, or long distances. If you want your small dog to race with you, your best bet would be a 5k. Some dog breeds were built for endurance, like the Rhodesian Ridgeback. If you are thinking about doing a marathon with your dog, please research the breed first to see if they can handle a long distance run. If your dog is still in their puppy days, you should reconsider taking them for a run. Puppies that are below 18 months are still forming strong bones and running will make for a costly surgery. Avoid injuring your puppy and hold off on running until they are old enough. Conversely, dogs that have reached old age should stick to walking. Running puts a lot of stress on a dog’s body, and any injury they receive now will take longer to recover due to their age. Does your dog behave well on the leash? If that’s a yes, great! Get a smaller leash and start with your training plan. For other dogs though, it may take a while for them to be good on a leash. Our little Ellie is still in the phase where she likes to pull us along through walks, if this is the case with your dog too, more training is needed. Start by getting a no-pull harness, which can help your dog realize that their walk is not a race and so they don’t hurt themselves by pulling too hard. Your dog should be able to keep a steady pace on their walk and obey commands before tackling a running program. This is not only to insure their safety, but it also keeps you from dislocating your shoulder, or twisting your leg if your dog still likes to stop and sniff. Dogs have other injury prevention steps we need to consider. The ground can be very hot for a dog, which is something easily forgotten since we have shoes. 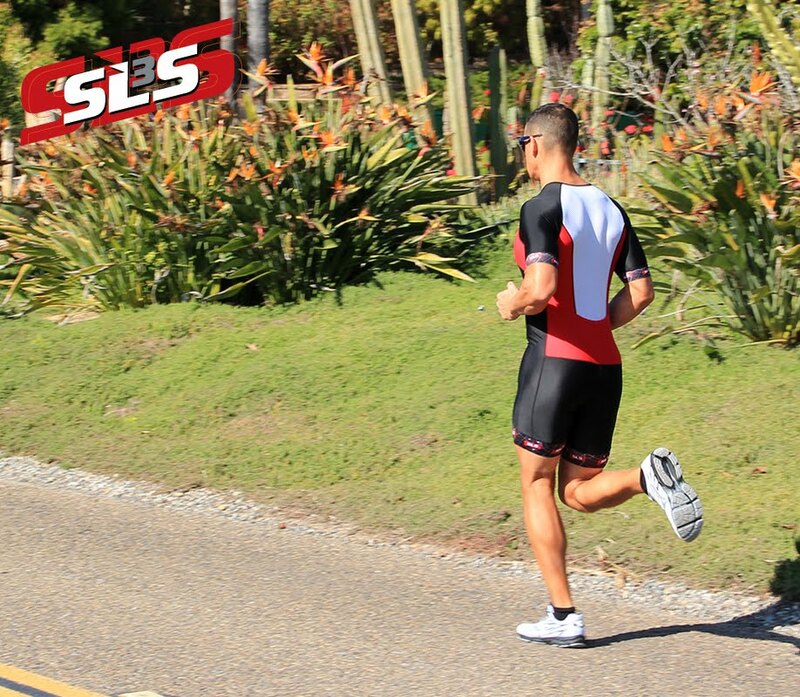 Check the ground by placing the back of your hand on the surface you plan to run on. If you can’t handle it for 10 seconds, then don’t let your dog run on it. As a general rule, if it’s hotter than 80 degrees Fahrenheit you probably should keep you dog back at the air-conditioned house. If you are out on the run, and you notice that your dog is panting harder than normal, is vomiting, or having issues with diarrhea, it’s very possible that your dog may be experiencing heat stroke. First stop running, move to a cold area. Often when a dog starts to overheat their gums turn white. Give your dog plenty of water and have an action plan to get to the vet as soon as possible. Do not take chances with your dog. We have shoes to help us through harsher terrain; dogs on the other hand only have their footpads. It’s important to check their footpads whenever you get back from a run to make sure there is nothing stuck in-between their toes, or their toes are not cracked and bleeding. Some dogs take well to shoes to help prevent these injuries, but if your pup is stubborn, try to be proactive about their foot health. If your dog starts limping, or stretching one leg out funny, it’s time to stop and check their feet. Clean their footpads with soap and water, and do you best to cover their wound so that it doesn’t lead to infection. Your running buddy will need some time to heal before their next run with you. Bee stings for dogs are rare, but they can happen. I was on a walk with my little basset hound Schluckauf when she stretched her back leg out funny and refused to walk. My poor girl had a bee caught in her toe pads. The first thing to do is to remove the bee and check for a stinger. Be careful removing stingers; never squeeze them out, this will release the venom; instead try to flick the stinger out with a credit card or something similar. Watch your dog for any uncommon behaviors and be ready to take them to the vet. If your dog gets stung on the face, and swelling occurs, it is okay to give them a Benadryl, but make sure that you give them the dosage their vet would recommend. There are a few items that you want to get in order to run with your dog. The most important item is a leash, which you probably already have, although you may want to pick up a new leash that is shorter to give you better control. The second most important item is a collapsible bowl. This is so your precious pup can quench their thirst on the go, without having to stop and figure out a way to cup your hands, or waste water hoping your dog will catch it in their mouth. Lastly, it’s a good idea to invest in a doggie run bag. These look like little backpack harnesses specifically designed to fit your dog. It makes it easier to carry the collapsible bowl, poop bags, and treats. In order to see progress, you need to have a routine with your dog. Your dog will get used to the days they train with you and the days they get to relax on the couch. Set a plan for training with your dog, and make sure that it adheres to your dog’s progress levels. They are not in the same shape you are so you will have to slow your pace and intensity for your dog until they are used to training with you. Remember to make sure that your dog is physically fit enough to workout with you and to take the safety precautions to keep them safe. One thing to keep in mind is to make sure your dog doesn’t eat just before or just after their workout, this leads to a mess of dietary issues and health problems. After a little bit of training and preparedness, you and your dog will be ready for racing. Happy Running and Woof Woof!